In this season of gratitude, we’re reminded of how much we are thankful for our sisters. Even those sisters we will never get the opportunity to meet. 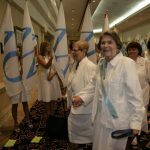 For Hannah Tonry – Omega, Louisiana State University, it’s the gratitude felt for the legacy of a sister who passed away in March 2013, Helen Burkhart Prehn – Omega, Louisiana State University. 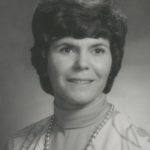 Helen initiated in August 1945 which began her lifelong service to Alpha Delta Pi. 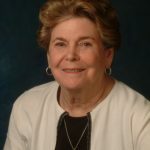 During her lifetime, she served as president of Omega chapter, treasurer for LSU’s Panhellenic Council, Gamma Province President, Rho III Province President, advisor to Delta Beta Chapter – Lamar University, charter member of the Alpha Delta Pi Foundation, Grand Secretary, Alumnae State Director for South Texas, Collegiate Panhellenic Relations Director for District V, and City Panhellenic Representative for San Antonio Alumnae Association. After Helen passed away, two of her daughters, Kathryn Terwey McNeely and Emily Terwey Yeager – both Delta, University of Texas Austin, decided to establish a scholarship in her name to benefit the women of Omega and Delta Chapter. This year, we awarded the Helen Burkhart Prehn Scholarship for the first time…to Hannah. In her own words, she shares her gratitude. My name is Hannah Tonry. I am in my junior year of college at Louisiana State University majoring in Biological Sciences, and I was a founding member of the re-installation of the Omega Chapter of Alpha Delta Pi at LSU. I currently serve as the Director of Standards and Ethics, and I hope to continue on the Executive Board next year. I am writing with an enormous amount of gratitude, because I was awarded the Helen Burkhart Prehn Scholarship this year. Our international president at the time, Stacy Bruton, spoke to us about Mrs. Prehn at our installation ceremony this spring. Upon hearing her story, I only thought of what shoes our chapter has to fill! Mrs. Prehn was an amazing woman and has given me an excellent example of the kind of woman I should strive to be. I am truly humbled and grateful to have been chosen to receive this scholarship! Though I am not half the woman Mrs. Prehn was, I sure hope to become like her one day. I am majoring in Biology with the hopes of attending LSU Medical School in 2019. The admission process is grueling, and every day I do all that I can to ensure I am learning, preparing, and growing to hopefully become a doctor one day! This summer, I have decided to take a physics class to begin preparing myself for the medical school admissions test, the MCAT. My financial aid does not cover summer courses, and my family has had many health problems in the past couple of months. This generous donation will help me afford this class and will allow me to be as prepared as possible for this difficult exam. I cannot express my gratitude enough. Finally, I would like to tell you why I want to be a doctor. Though I have known I was interested in this career path my entire life, I received confirmation about two years ago when it was discovered that my ten-year-old brother had a spinal malformation that was dangerous and needed to be removed through surgery. This was a trying time for my family, and my parents traveled across the country seeking the best doctor. After seeing eight different surgeons, they were still not confident that surgery was the best option. Their last stop was John’s Hopkins to see Dr. Jallo. He simply told my parents, “I can do it. I’m the best.” Though this may have seemed overconfident, it was exactly the confidence that my family needed! Dr. Jallo performed the surgery, and my brother is presently in perfect health! 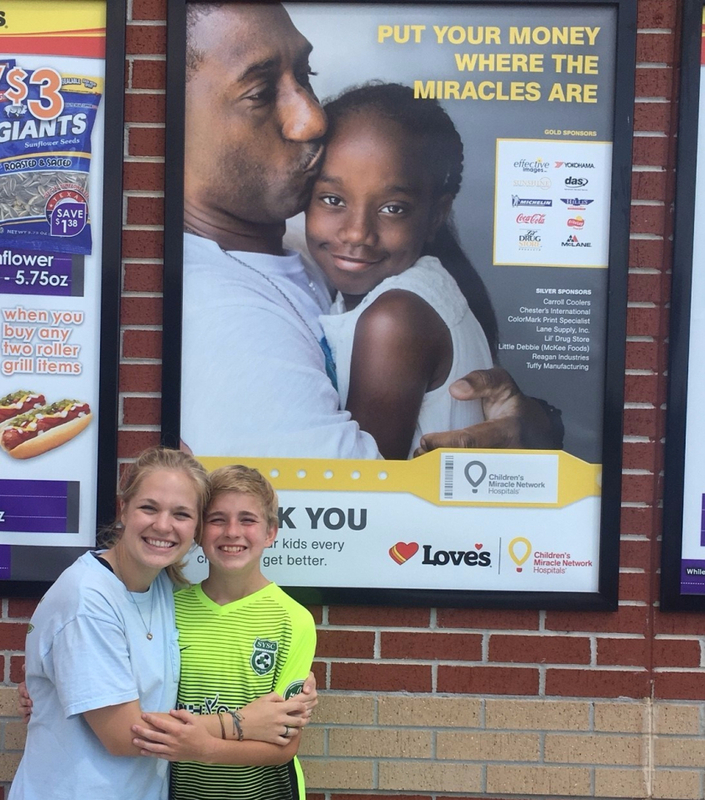 Since then, my youngest brother has begun having seizures, and this summer, my 16-year-old sister had a spinal fusion after a soccer incident. Through all the suffering I have witnessed within my family, we have grown closer together, and I have realized my true calling! I want to be a doctor so that I can be confident enough in my abilities to provide comfort to my patients and their families like Dr. Jallo did for us. I believe that I will have a better understanding of the suffering of my patients, and will be able to provide the best health care as well as kind and emotional support to all I encounter during my career. I have big hopes and aspirations for myself, and I am motivated now more than ever to achieve my goals. Thank you for providing me with the opportunity to do so. We are immensely grateful for Helen’s lifelong service to Alpha Delta Pi, her wonderful daughters for creating this meaningful and lasting legacy, and Hannah for sharing what it means to be the recipient of the inaugural Helen Burkhart Prehn Scholarship. Scholarship applications are now open for the 2018-19 year. For more information and access to the application, please visit our Scholarship Page.